Eye: A light, golden hue. Nose: Floral hints, and aromas of pear, vanilla, and a spicy element. 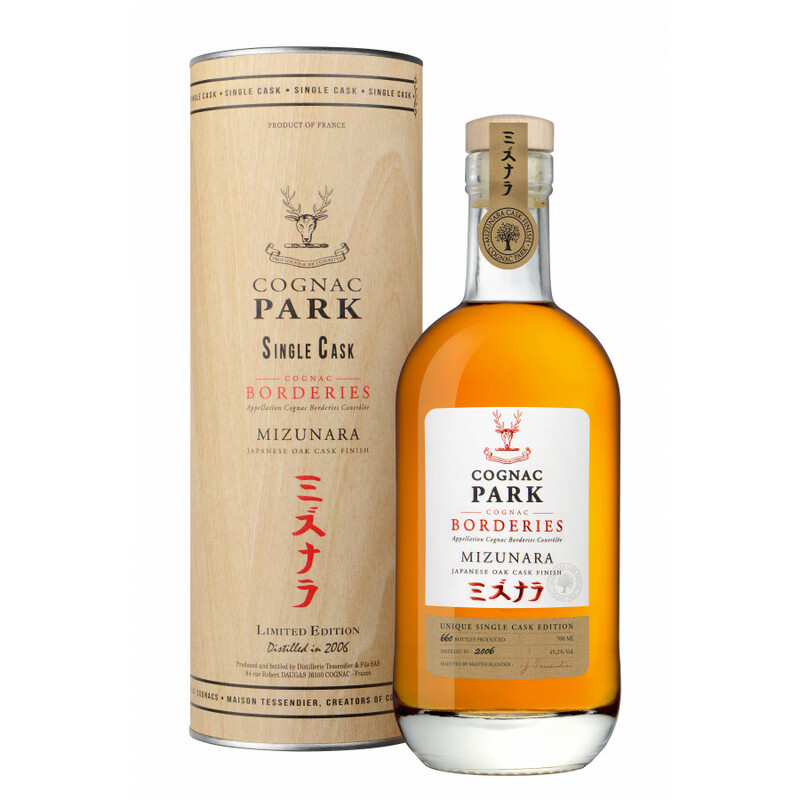 Introducing the Park Mizunara Borderies 2006, the second Cognac of a Borderies single cask, with yet another highly innovative Japanese twist as with the Park Mizunara No.1. A release of this caliber illustrates the artisanal tradition of this exciting Cognac brand; the Tessendier brothers dip in and out of their incredible treasure trove of a cellar to select the finest eaux-de-vie. Not only that, but the Park Mizunara Number 2 is a rarity that hails from the smallest of the terroirs, the Borderies cru, where the oldest soil in the region can be found. Distilled in 2006, Cellar Masters of Cognac Park, Jérôme and Lilian are excited to announce their latest release from the Domaine du Buisson estate. This is one that so perfectly marries the tradition of French Cognac craftsmanship with exciting new flavours from the Japanese oak. The Mizunara N° 2 is firstly aged in Limousin Oak, and then finished in Japanese Mizunara Oak for 6 months afterwards. Usually, this oak is used for maturing premium Japanese spirits, and gives the Cognac a complex and spicy character to soft and floral elements that are often found in a Borderies Cognac. For those that enjoy Japanese whisky, this is the perfect meeting point between two fine spirits. The distinctly Japanese finish is something for all those that enjoy Cognac, and for those that share our passion about local artisanal brands looking for ways to reinvent ancestral methodology. Only 660 bottles were created for this single cask Cognac, so you must be hasty if you want to try it for yourself. It would make a truly inventive gift for somebody, or something to enjoy in a group degustation. A true crowd pleaser. The contemporary bottle and box of this Cognac are something to be marvelled. The simplicity of the white and red labelling is stylistically Japanese, and arrives in a beautiful corked bottle, with a seal that combines Japanese typography with the Park logo.